This action supports burning files direct to CDR/CDRW/DVDR & DVDRW Media (depending on your burner hardware). The files burned directly to the drive, ie an image is not created first. Note that to use this action you need to define an alias for your burner first (see here for more info). If you are having problems seeing the files on your DVD or CD after burning, then you might have to enable the "Eject after Write" option so that the operating system refreshes the contents of the media. 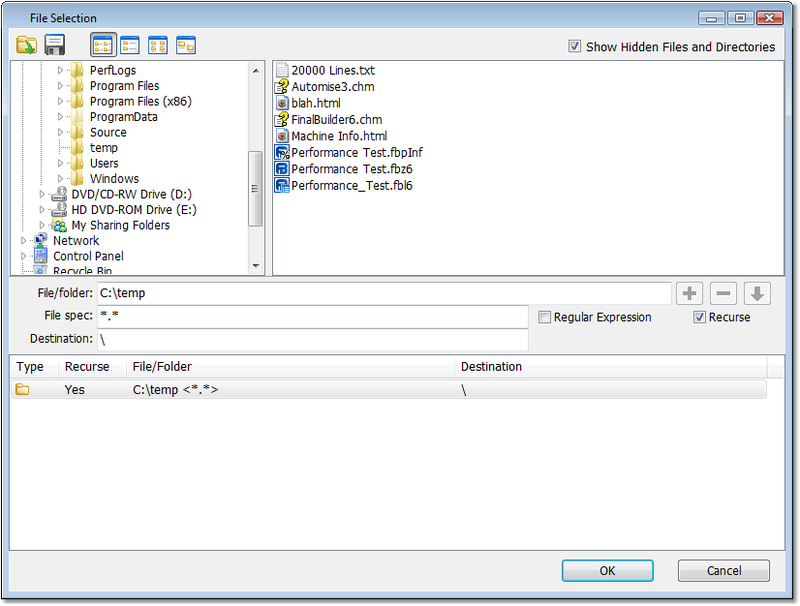 The File Selection editor allows you to select files & folders and use wildcards or regular expressions to add files to the selection. In the File spec you can enter a normal DOS type file spec using wild cards * and ? You can also specify a regular expression, but you need to select the "Regular Expression" checkbox. If you are specifying *. * you should not select regular expression as it is an invalid regular expression. Enable this option if you don't want to write any further data to the disc. Enable this option if you don't want to actually write any data to the disc. Enable this option to eject the disc when writing completes. 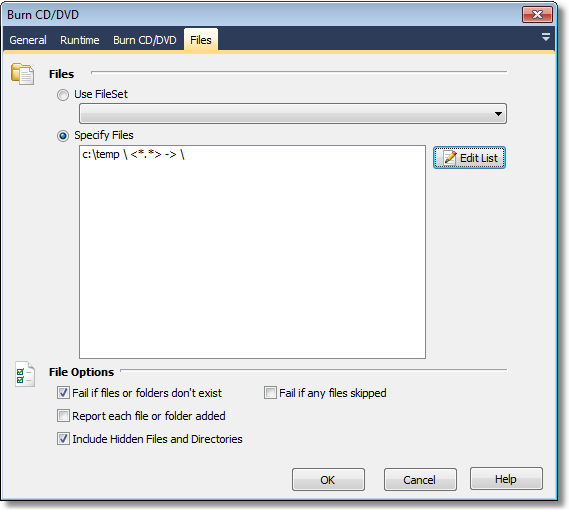 If you are having problems seeing the files on your DVD or CD after burning, then you might have to enable this option.